This week I'm bringing you a tasty chocolate muffin recipe which includes a secret ingredient that you can get your hands on right now: Rosemary & Robert cherrybeet chocolate. 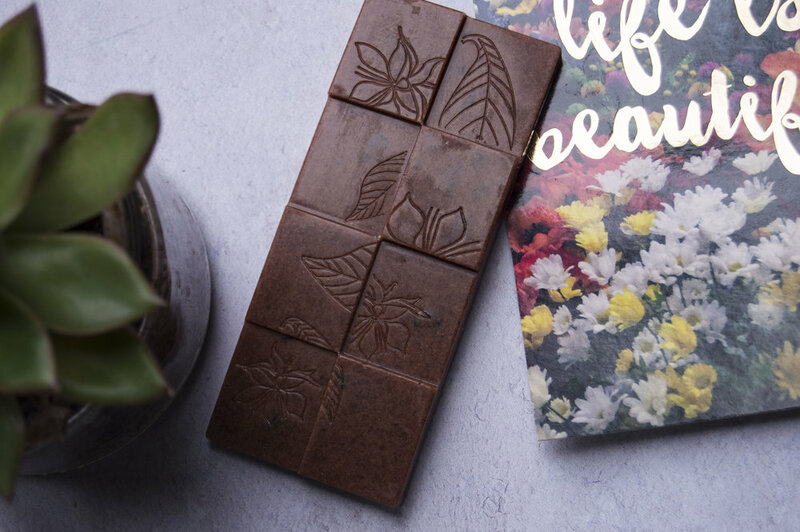 My wonderful friend Lea runs Rosemary & Robert, a handmade, earth-kind, genuinely free-from chocolate company creating tasty cacao bars that are gluten, animal product and nut free. 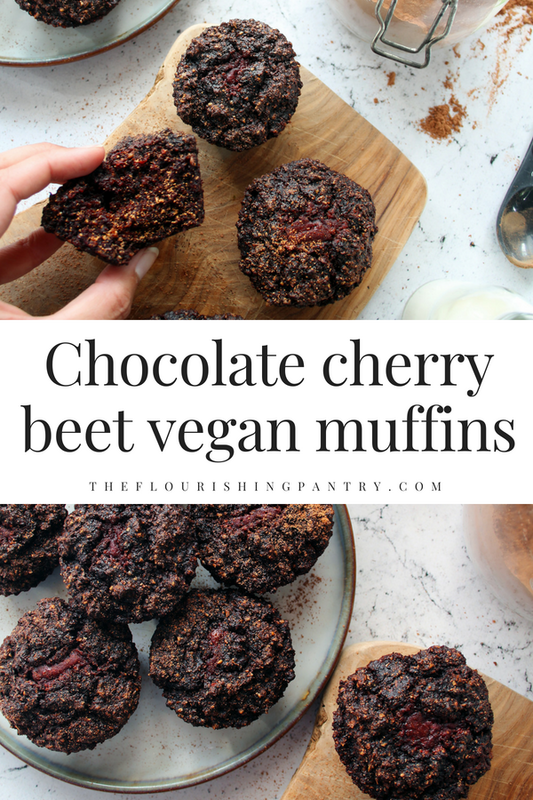 The cherrybeet bar has fast become my favourite from the range and so I was inspired to do a bit of baking to showcase the bars that are made with delicious juicy dried sour cherries with earthy sweet beetroot powder and zingy acerola cherry powder. I love cooking with beetroot and this was the perfect excuse to include them in a sweet treat recipe. When I was doing some research for this recipe some alternative cooks talk you through cooking the beetroot from raw. Obviously that's great, if you've got the time. But I find it's a bit of a faff - they take a really long time to go genuinely soft, and then you have to peel them and inevitably the juice goes everywhere! Instead I am completely hooked recently on the pre-cooked and vacuumed sealed beetroots you can grab in the supermarket. They are so quick and easy and ready to go whenever you need them - to add to salads, bake with or even slice up on toast. And because of the vacuum pack they also last ages sat in your fridge. A genuine kitchen staple that perhaps I should add to my list! To be in-keeping with the Rosemary & Robert ethos I've made these muffins vegan. But it's possible to make the recipe with honey, eggs and milk too instead of the flax and plant-based alternatives. Both options are described in the ingredients list. 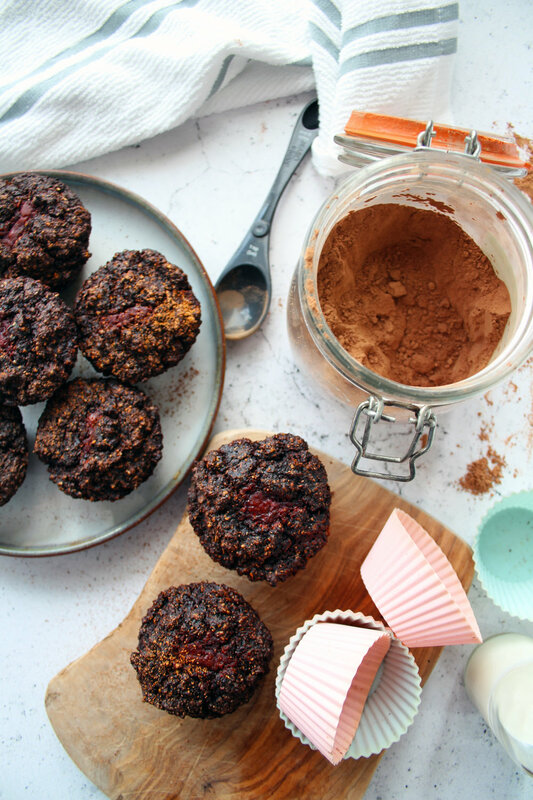 If you can't get hold of R&R chocolate (they're currently shipping to the UK only but you can always email Lea to see if she'd be about to get some to wherever you are) then you can always make these muffins with an alternative chocolate filling. It just won't be cherrybeet....! Preheat oven to 190°C (375 degrees F) and lightly grease 12 muffin cups with coconut oil. If you are going vegan, prepare your flax eggs in a large mixing bowl by stirring together the flax and water and let rest for 5 minutes. In a bowl add the beetroot puree, melted oil, maple syrup, brown sugar, baking soda and salt and stir to combine. Add in the milk and stir once more. Add cacao powder and wholemeal flour and stir with a spoon or spatula until just combined, being careful not to over-mix. Add the flax-egg or real egg. Stir again to combine. The mixture should be quite thick but not pourable, you should be scooping it into the muffin cases. If it's too dry add a little more milk. Break up your chocolate bar into 12 equal size pieces. Then divide batter evenly between muffin cases and push the chocolate pieces into the centre of the mixture. Bake for 20 minutes or until a knife inserted into the centre comes out clean. Leave to cool before eating (though they're lovely warm while the chocolate is still a little melty!). Will keep in the fridge for 3-4 days. Add this to Pinterest and save the recipe for later! Older PostAre you being unconsciously negative?